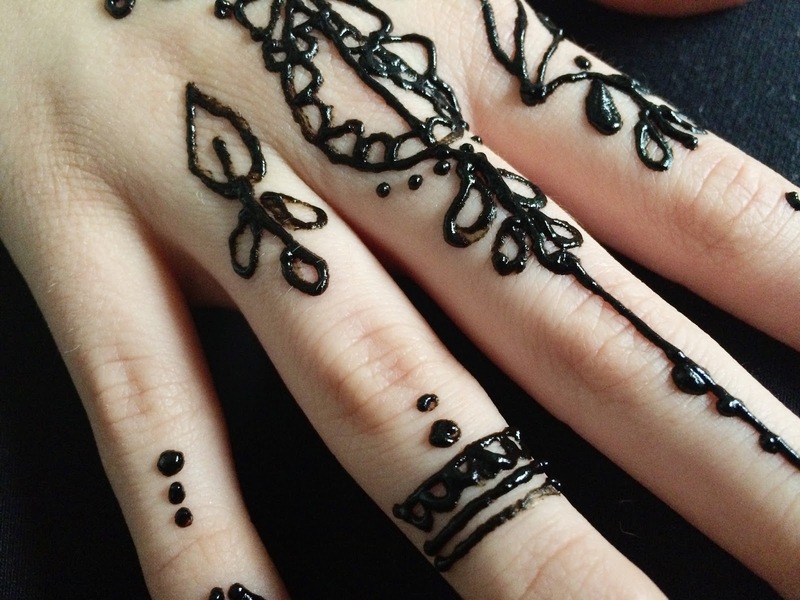 Henna has been used for a suspected 9000 years in Eastern cultures, used for weddings, birthdays and holidays in decorating brides-to-be and guests of the host. It can also be used as hair colour, but has had some taboo surrounding it for a number of years because of allergic reactions that black henna can cause. 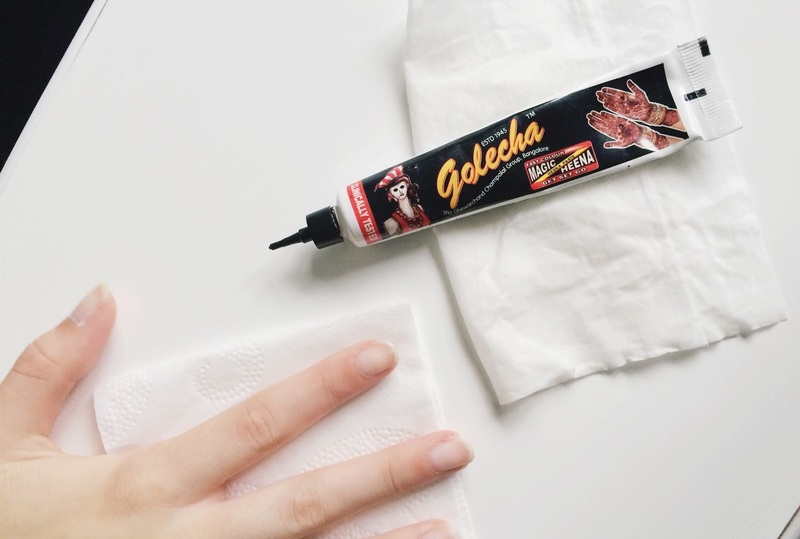 The henna used in this post, Golecha Quick Dry Henna, is entirely herbal so no nasty allergens and it's clinically tested. If you're prone to allergic reactions then do a test before hand just to be safe! I've been through anaphylaxis and am allergic to just about anything but I can promise that this henna is safe and sound! 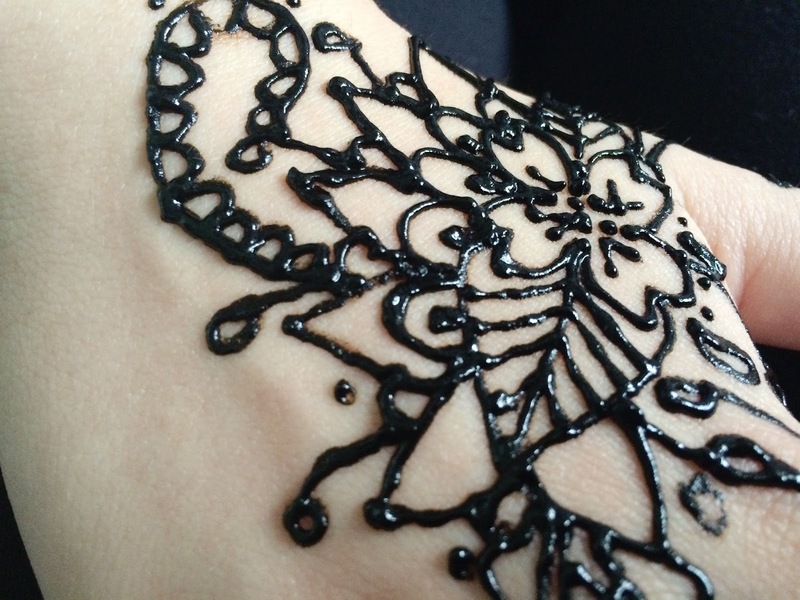 This particular henna goes dark instantly and lasts up to a week or two depending on your skin type. 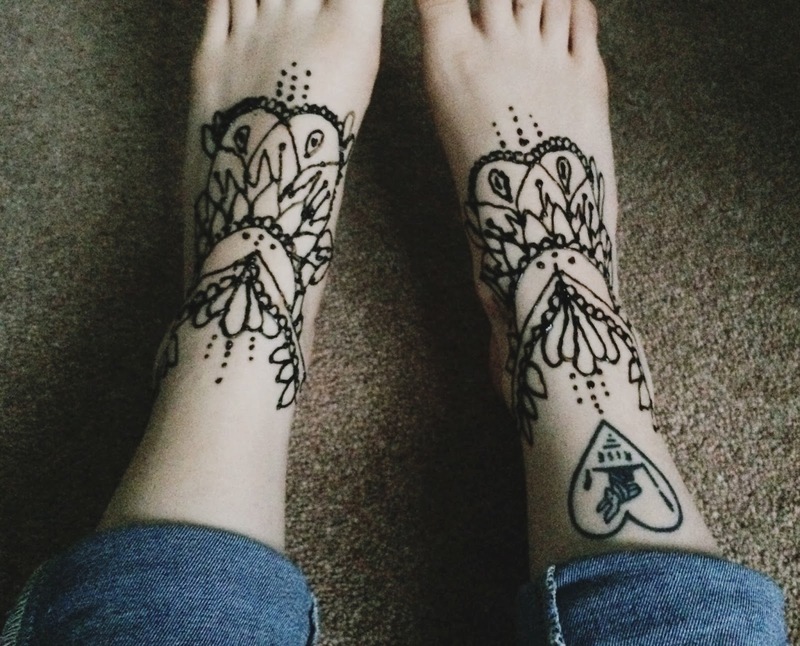 For advice on real, needle and ink tattoos, head to this post! 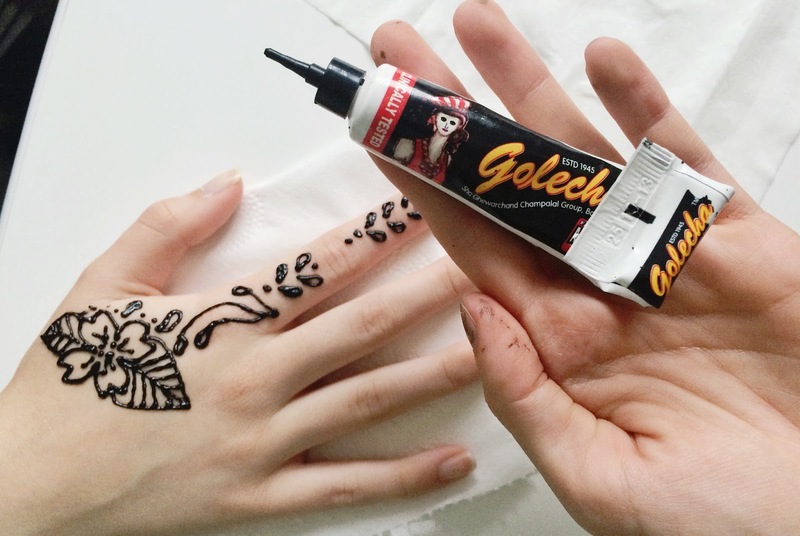 Before applying any henna, you need to start with a clean hand/leg/arm or whatever you're drawing onto so that all of the surface cells can be stained! :) Just rinse with a little water and soap and you're good to go. Make sure you've pierced the end of the tube with a pin, if it's not already open, or peel the foil off from under the cap unless you want the paste to come out of the sides when you squeeze! You can wiggle the pin in the tip to expand the hole and choose the width of the lines as you please. 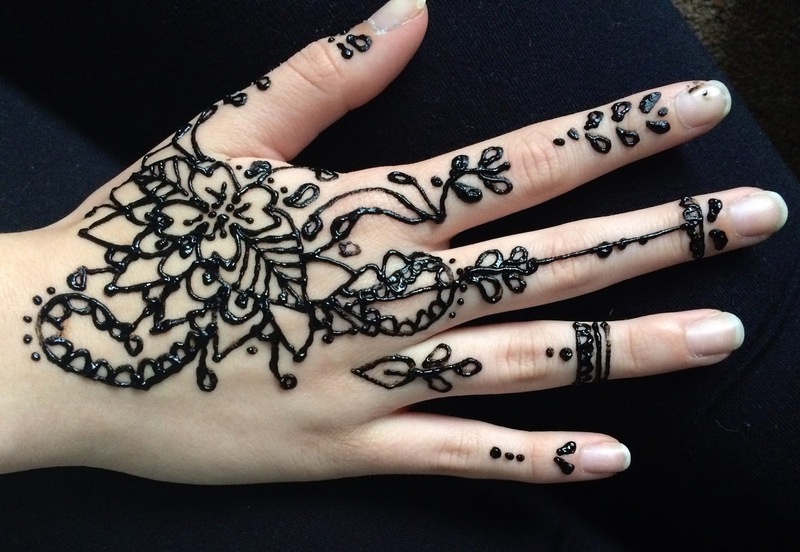 Mehndi patterns can be simple or highly intricate, but I'm going to show you some easy lines and simple patterns that look beautiful anywhere on the body. If you're drawing onto your hand, separate it into fingers, back of the hand and wrist. Your drawings should flow with the shape of the surface and can join together to make a beautiful pattern. I usually start with the space between your first finger and thumb as it's a perfect canvas for anything from flowers and hamsas to mandalas! This is where you get to really play around! Start with a dot (or a few) for the centre of your design then add petals or floral shapes to the outside. Add another petal in between each of the first petals and so on, so you're expanding your design until you're happy. Many Mehndi leaves have lots of lines (see above) which I think is really beautiful. You can make these lines as thick or thin as you please. 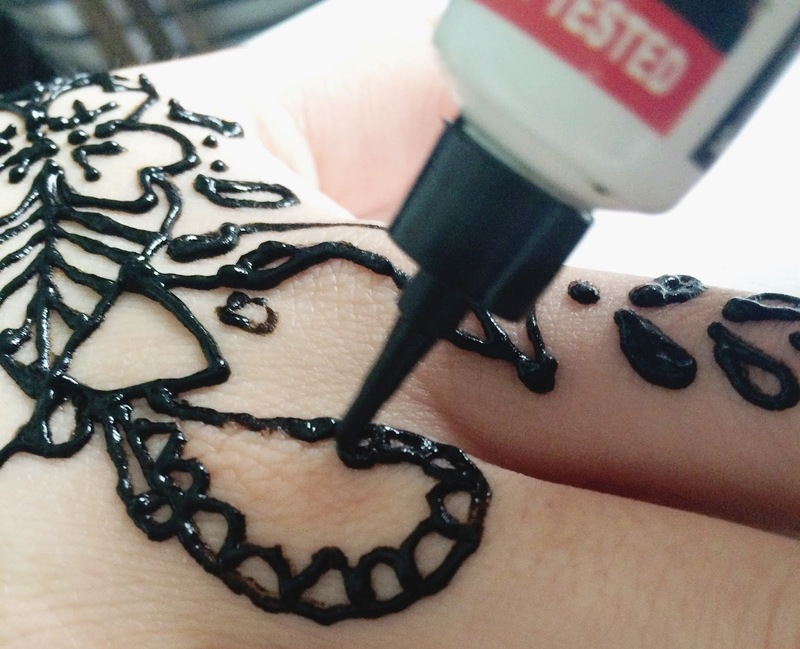 Another shape typically used in henna patterns is the semi-circle along with the paisley 'teardrop' shape. Try including little dots to fill out your pattern too. The design I've done on my sisters hand (above) isn't my best but it shows all of the different shapes you can include! Don't be afraid to create your own shapes too if you feel they fit with your design. You can also take your designs to other parts of the body, i.e ankles and feet. The same shapes and design rules apply here too; letting your drawings flow with the body. 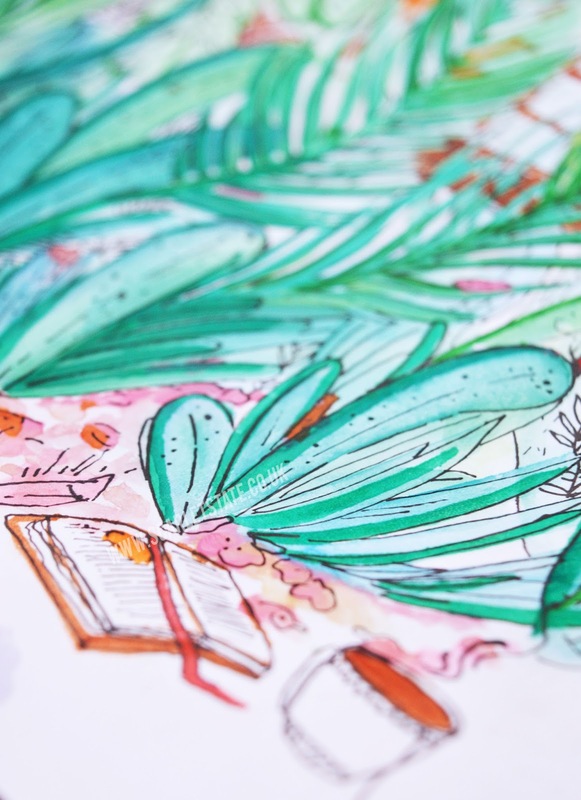 From here on you can build on your drawings and make them as intricate as you like! The thinner the line, the more detail you'll manage but it can often look overcrowded if you go overboard. If you're still stuck for inspiration then you can take a peek at my henna/mehndi Pinterest board here! What's your favourite form of body art?